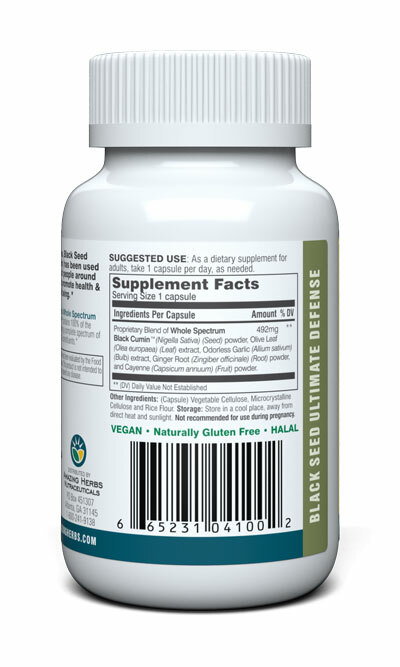 100 Vegi-Caps - 100% Pure, Ground Black Seed with Olive Leaf, Garlic, Ginger and Cayenne extracts. 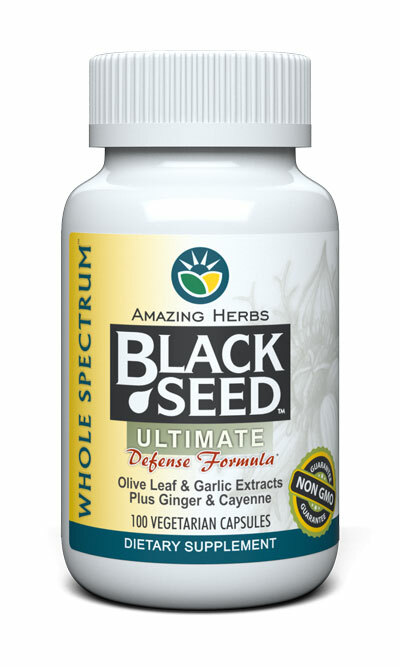 Suggested Use: For adults, take 1-2 capsules, three times a day with meals, or as directed by a physician. * (DV) Daily Value Not Established. Other Ingredients: (Capsule) Vegetable Cellulose, Vegetable Grade Magnesium Stearate, Rice Flour, Silicon Dioxide, and Microcrystalline Cellulose.